Research on the many benefits of boosting plant available silicon with wollastonite remains limited, however, initial studies and reports from the field demonstrate the significant potential of calcium silicate to provide big returns across a wide variety of crops and growing conditions. Here is an excellent summary of options and testing to get the many benefits of silicon in your crops. 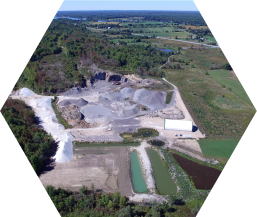 This post is from a small fertilizer distributor that sells a wide variety of silicon fertilizers – and they reached the same conclusion as us – Wollastonite is king!